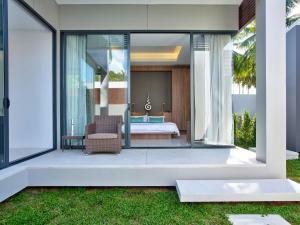 Located in Mae Nam, Mandalay Beach Villas - an elite haven offers accommodation with free WiFi and access to a garden. The units come with a kitchen featuring coffee machine and a dining area, a living room with a sofa, and a private bathroom with free toiletries and bath. Each unit features a patio and has a flat-screen TV with DVD player, as well as air conditioning. A car rental service is available at Mandalay Villas - an elite haven. 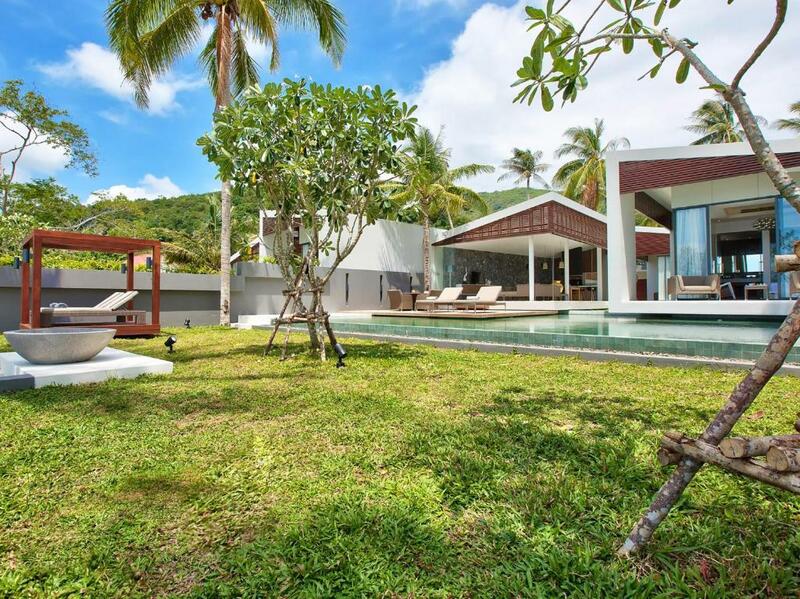 Mae Nam Pier is 7 km from the accommodation, while W Retreat Samui is 11 km from the property. 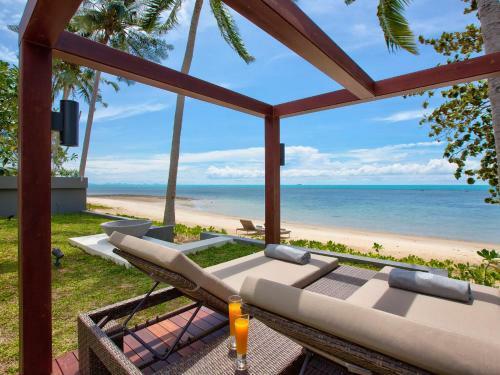 The nearest airport is Samui International Airport, 17 km from the property. L'établissement Mandalay Beach Villas - an elite haven accueille des clients Booking.com depuis le 13 févr. 2019. À quelle période souhaitez-vous séjourner dans l'établissement Mandalay Beach Villas - an elite haven ? Cette villa dispose d'un barbecue, d'un lecteur CD et d'un lecteur DVD. This villa features a cable TV, oven and pool view. 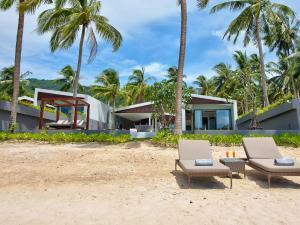 Mandalay Beach Villas is located in Laem Noi, north-west coast of Samui. Enjoying a spot on a prime location on Samui’s most picturesque palm-fringed beaches, these beachfront villas offers three bedrooms each, all with bright contemporary design and airy living areas enjoying the views of the pool, garden and beach. 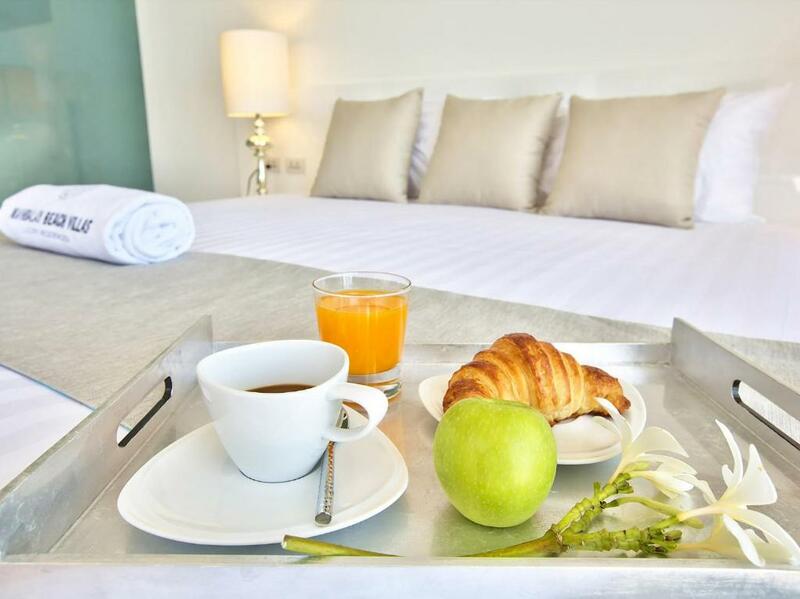 A villa manager and a team of staff including housekeepers, service attendants, security and an on-call private chef, ensure individual guest needs are catered for. 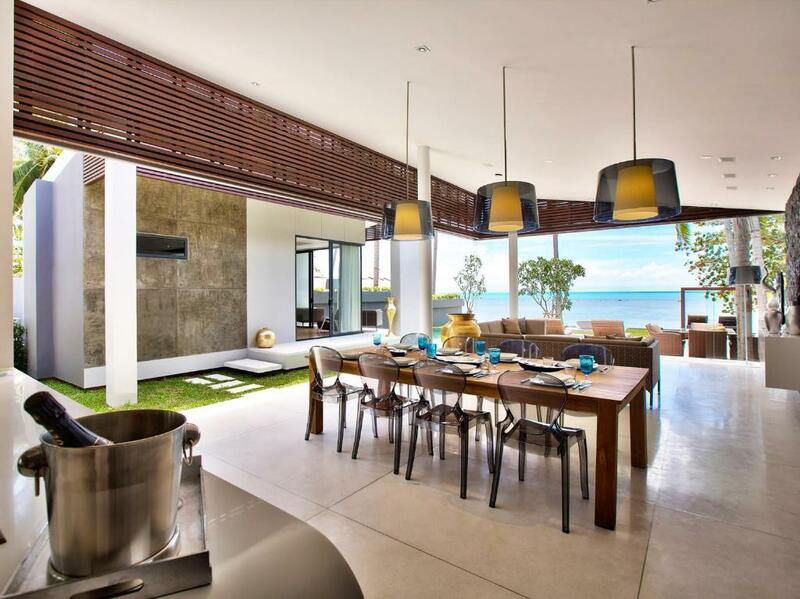 These villas are ideal for families and small groups of friends looking for a stylish beachfront holiday. 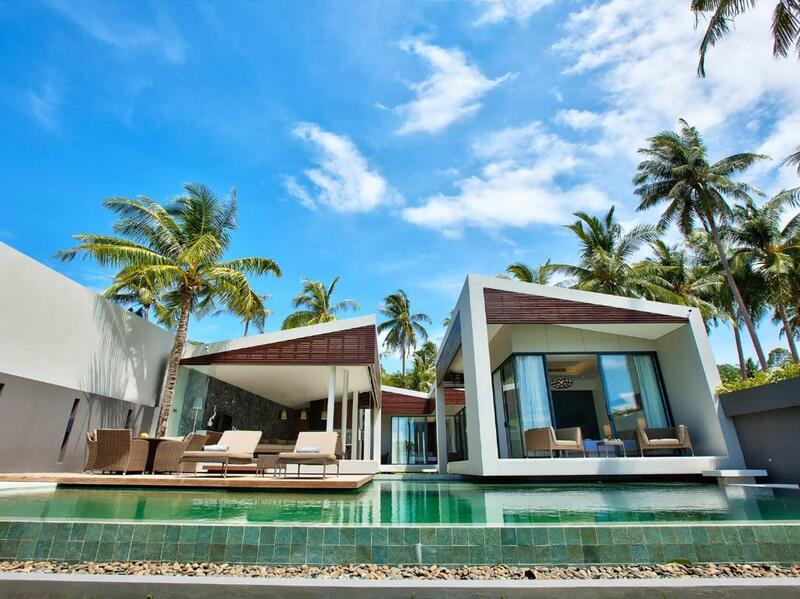 Koh Samui’s tropical beachside beauty is at its most stunning at Laem Noi located on the far west of the island’s north coast. Here virtually deserted white-sand beaches are fringed by swaying palms, while clear turquoise water lap lazily at the shore, distant islands hover on the horizon, and sailboats and ferries pass by in the distance. Close to your ‘home-away-from-home’ are rustic beachside restaurants and bars, along with a new crop of trendy beach-clubs, to sample fresh local seafood delicacies washed down with a bottle of local beer. 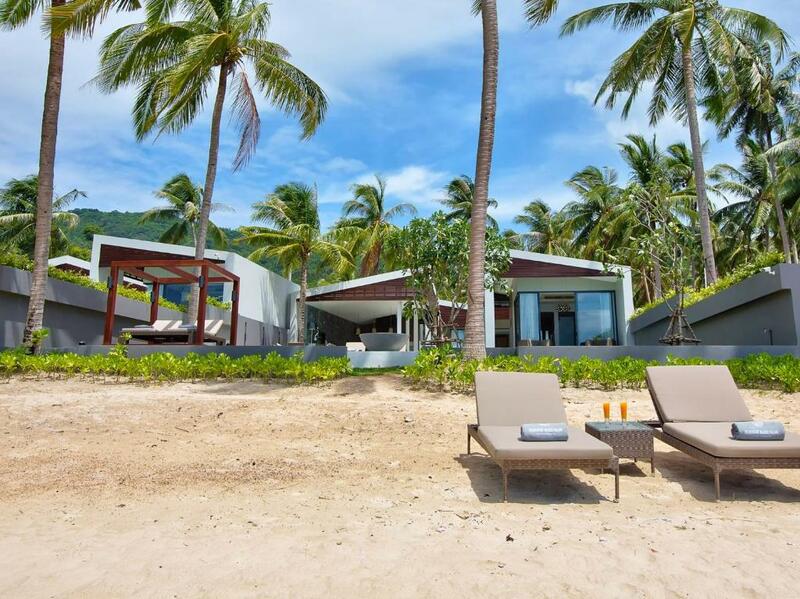 If it’s more sophisticated entertainment you’re looking for, the exclusive Four Seasons Resort and Spa is just minutes away at Laem Yai Bay. A little further are the main tourist centres of Bophut’s Fisherman’s Village and Chaweng, with their huge choice of shopping, restaurants, bars and Big Buddha which is the main jumping-off point for boat trips and ferries to outlying islands, including the legendary ‘Full Moon Party Island’ of Koh Phangan. Important - À lire L'établissement Mandalay Beach Villas - an elite haven accepte les demandes spéciales. Ajoutez la vôtre à la prochaine étape ! 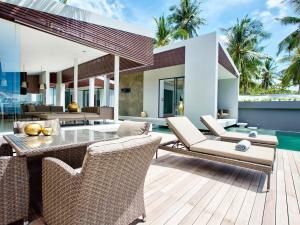 L'établissement Mandalay Beach Villas - an elite haven accepte ces cartes et se réserve le droit de bloquer temporairement une certaine somme sur votre carte avant votre arrivée. Veuillez informer l'établissement Mandalay Beach Villas - an elite haven à l'avance de l'heure à laquelle vous prévoyez d'arriver. Vous pouvez indiquer cette information dans la rubrique « Demandes spéciales » lors de la réservation ou contacter directement l'établissement. Ses coordonnées figurent sur votre confirmation de réservation. Pour que nous puissions calculer sa note des commentaires, il faut qu'un établissement ait reçu au moins 5 commentaires. Si vous réservez un hébergement et laissez un commentaire sur votre séjour, vous aiderez l'établissement Mandalay Beach Villas - an elite haven à atteindre cet objectif.